During the recent hurricanes, hundreds of thousands of vehicles suffered water damage. How can you be sure that the used car you’re interested in is not one of those affected? 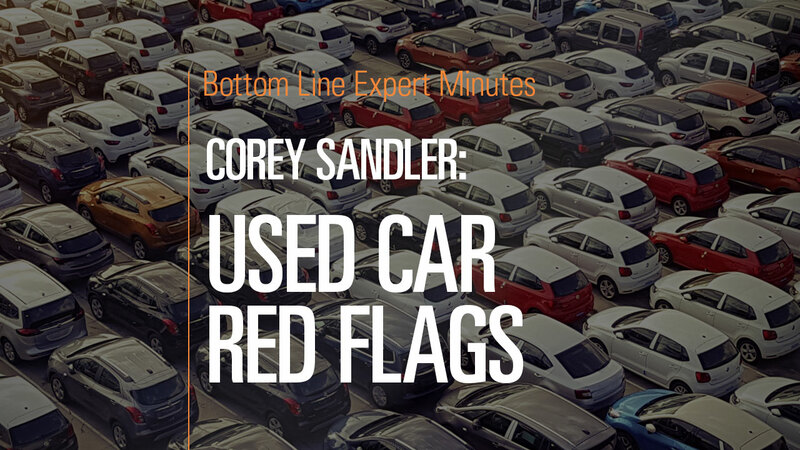 In this video, Corey Sandler, consumer expert and author of Bottom Line’s Secrets of the Savvy Consumer, gives viewers a few tips on how to stay smart when shopping for a used car. If you check the seller’s insurance and he/she doesn’t have comprehensive coverage (covering damage other than from a collision), this is a red flag. Also be sure to have an independent mechanic check for signs of concealed water damage, noting not only rust and mud/water stains but also signs that the vehicle has been recently repaired or excessively cleaned. Carfax can give you a comprehensive history of the car. Finally, be especially cautious about purchasing a car that comes from a hurricane affected area.